One of the most frustrating situations a traveler can experience is losing their luggage while in transit. 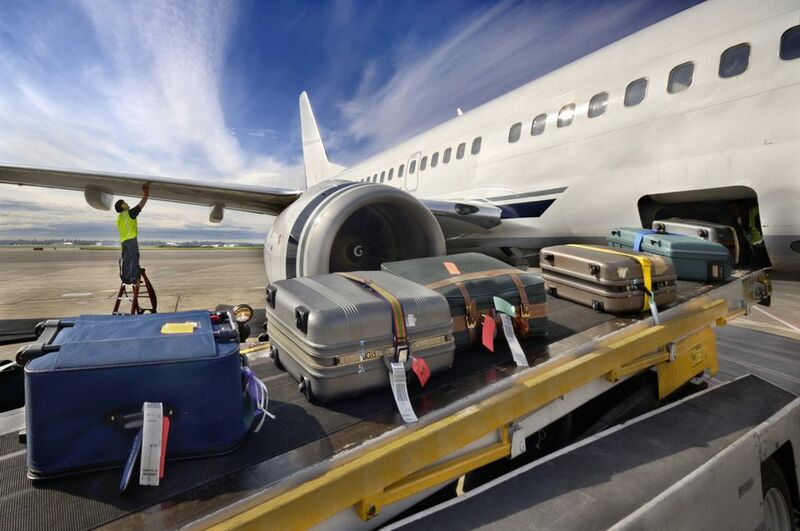 Despite airline's best technology, it is still very possible for bags to get damaged, lost, or even have luggage stolen between your origin and destination. Although it can be infuriating, there are things every traveler can do to help their situation. By following these tips, travelers can get closer to having their items returned, or restitution for their lost, damaged, or stolen luggage. While it's hard to imagine happening, stolen luggage still happens in many parts of the world. In 2014, several baggage handlers were arrested at Los Angeles International Airport for stealing items out of passengers' checked luggage. Travelers who suspect they were a victim of stolen luggage should immediately notify their airline of the situation. A stolen luggage report can also be filed with the airport police, in the event your property is recovered on baggage handlers or other employees. If you believe items may have been stolen during security screening, you can also file a report with the TSA. Some travel insurance policies may cover stolen luggage in certain situations. If a traveler can prove their items were lost in transit and have a filed police report, then travelers may be able to recover some of their costs with an insurance claim. However, coverage may be limited to the items covered by the policy - be sure to understand what is and isn't covered in your bags before making a claim. Every common carrier's contract of carriage outlines the rules and stipulations that flyers have when they travel aboard one of their airplanes. This includes the flyer's rights if luggage is delayed or lost during or after a flight. As a result, the airline has to abide by these rules to help you get your baggage back, or help to replace what was lost while your bags were in their care. If your luggage doesn't show up on the carousel, immediately file a report with the airline before leaving the airport. In this report, make note of your flight number, the style of your lost luggage, and information on how to retrieve luggage when found. Be sure to take a copy of this report, and use it for future reference if you have additional troubles. Additionally, some airlines may cover the purchase of emergency items when you travel, such as replacement clothing and toiletries. Ask the customer service representative when filing a report about the airline's policy. If a traveler's luggage is officially declared lost, those flyers will have a limited time to file a claim with the airline. When filing a lost luggage report, ask what the time frame is to file a lost bag claim, and when that report can be filed. While the maximum settlement for a lost bag is $3,300 for domestic flights, the final settlement may vary based on a number of factors. Additionally, settlements and time frame may change if you're flying to the United States from another country. It's not uncommon to get a bag delivered in worse conditions than when that luggage began. If bags are damaged as a result of a flight, travelers should first note the type of damage the bag received in transit. From there, travelers should file a report before leaving the airport. In some cases, reports may be refused if the customer service representative believes the damage to be within "normal wear and tear" of the bag. In many cases, this can be escalated to additional layers of customer service agents or the U.S. Department of Transportation. If the contents of the luggage are damaged during travel, that level of protection may change. From 2004 forward, air carriers hold no liability for the damage or destruction of fragile items in checked luggage. This can range anywhere from computer equipment to fine china. For all other items, a report can be made against the damages. In that event, be prepared to prove that the item was in the checked luggage when it was damaged, and provide an estimate for repair or replacement. Although dealing with lost, damaged, or stolen luggage can be inconvenient, it can also be dealt with in a timely and effective manner. By understanding all rights available to travelers, anyone can work through this unfortunate scenario with ease.